Silica Blast helps plants flourish in extreme environments. Silicate helps strengthen plant tissue to help them thrive in adverse environmental conditions such as heat, drought, and frost. In any growing environment there are potential stressors that can affect the growth, health, and stability of plants. Add Silica Blast to your nutrient regimen to prevent issues before they arise. Silica Blast reinforces and enhances plant tissues leading to bigger harvests, increased fruit quality, and higher resistance to environmental stressors. Potassium silicate has been used in field crops for years due to its positive effects on plant vigor, photosynthesis, transpiration and hardiness. This readily available form of silicate is absorbed and bound in the plant’s tissues within 24 hours of uptake. As it is absorbed, the highly available form of silica creates a silicate matrix within the cell walls of your plants. This helps to physically increase cell wall structure while protecting against external stressors. 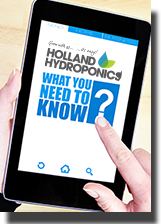 For use in container gardens or soilless hydroponic applications. For container gardens use between 2.5-5 ml per gallon of water apply at every watering or every other watering.. For Hydroponics mid size plants 2.5 ml per gallon and for mature plants 5 ml per gallon. Apply to reservoir every 5-7 days and adjust pH accordingly.